Baltimore's past was built on industry: steel mills and automobile plants. Today, the future is being built by the high-tech, medical, financial and service sectors. Older industrial buildings and factories have become the premier Baltimore real estate addresses of the dot-com age. Turn-of-the-century (20th Century, that is) homes are being remodeled and made ready for the families and workforce of the digital generation. to bill at southbaltimore dot com. Thinking about making your home or locating your business in Baltimore? Interested in Baltimore's Federal Hill or Locust Point real estate, buying or leasing a house, condo, or business property in the area: Inner Harbor, Federal Hill, Locust Point, Port Covington? Or, would you like to sell your house? Make sure to work with a Baltimore Realtor® with experience in our area. This truly is a great place to live, work and play. With dynamic Baltimore Real Estate changes taking place, you now, more than ever, need a professional Realtor® with "the right" experience. Local real estate agents have expertise and many years of experience in the, ever-changing South Bmore Real Estate market. Beware the "outsider." Baltimore Real Estate Companies - Local & national companies w/ SoBo offices. New Construction - Dynamic South Bmore changes are based on new projects. Click for Baltimore Inner Harbor Panorama. Popular remodeling today for Baltimore rehabs includes covering up or replacing those original plaster ceilings with tin tiles. Increasing in popularity becuse of the variety of designs and relatively inexpensive cost is to replace those old ceilings with tin tiles - with modern materials representing a retro era. Easy-to-install tin tiles for ceilings adds decorator touches reminiscent of Victorian Era homes. 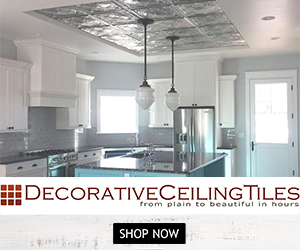 Attractive, inexpensive and easy to install, using "tin tiles" on your ceilings adds a touch of elegance, increases your home's value and has your friends saying, "Ah!" Once that project is done you can further enhance your home with aluminum backsplash tiles for your kitchen counter or bathroom vanity. Another "Ah!" for sure when your guests see what you have done. How SAFE is that Baltimore rehab home you are considering? How much (if anything) has your real estate agent told you about any potential hazards of living in a 100-year-old structure? Is that property you are considering as a home for your family a total rebuild (probably not), a thorough rehab (most likely) or just covered with new surfaces (quite possibly)? (A) Has the plumbing been replaced ALL the way to the street or is the feed line still some 70+ year old (maybe) lead pipe? (B) 100 year old city homes (probably had damp basements at one time or another. Have joists been replaced or may they contain decades-old mold? (C) Is there still lead paint existing on "covered up" wood? 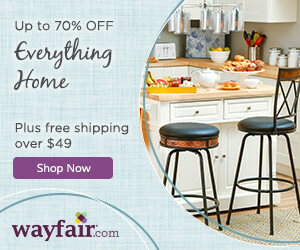 Inexpensive DIY Testing Kits are available for your home or a house you are considering. But, better yet, make sure your real estate agent obtains the appropriate tests for you. For your own peace-of-mind and the safety of your family, make sure you know exactly what you are buying. Don't forget insurance for your new home or apartment - or even car, for that matter. www.Allstate.com, www.Geico.com, www.StateFarm.com are all popular in the South Baltimore area. Need a great domain for your local real estate, or other, business? How about building a community website for South Locust Point on SouthLocustPoint.com and/or LocustPoint.org. If you do have your own a small business and need new checks, shop at Business Checks dot org for the checks you need and some of the lowest prices available anywhere. Remember, you should choose where to purchase your checks not your bank (and why pay them a high mark-up? ).